Recover all types of lost data with ease. The new data recovery suite assembles all general and specialized data recovery tools made by the company under one roof. The suite can automatically locate and undelete files stored on all types of storage media. 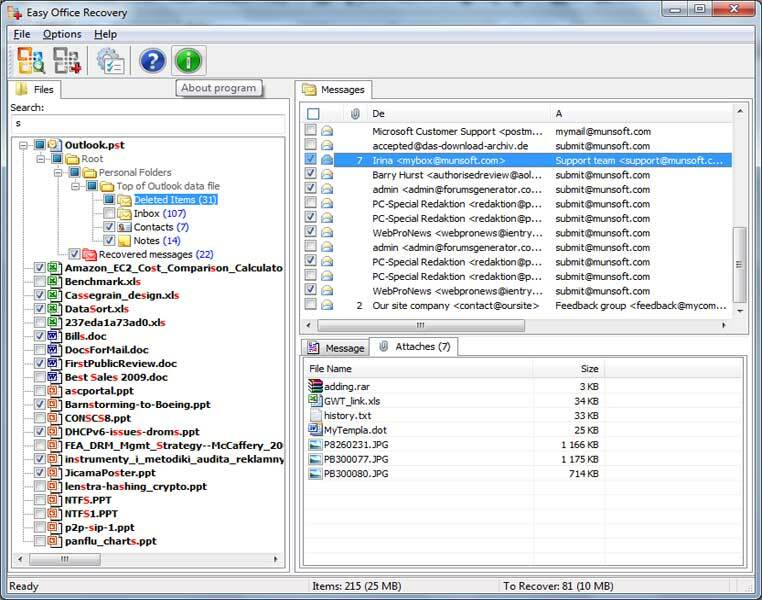 The suite will also recover corrupted Outlook and Outlook Express email databases, and recover ZIP and RAR archives and Microsoft Office documents.